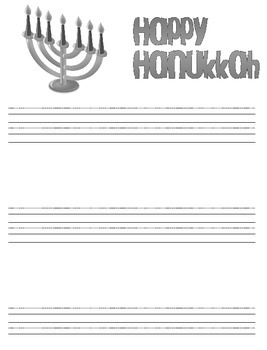 A collection of Hanukkah themed papers for writing. Images are on top 1/3 and D'Nealian style lines for writing on the bottom 2/3. If you like the images but are looking for a different combination, just send me an image, and I will customize them to your liking.